Scroll down for new posts in chronological order. Hover over each dancer's name at the top to learn about them and read their blog. We are born from the void with nothing but our bodies in tow. Everything else – names, preferences, identities, occupations – gloms on later. In collaboration with Float On, the seven dancers of the Float Dance Project — Estelle, Kaj-anne, Kirsten, Sophia, Taka, Tere and Wren — will jump back into the void and see what emerges, using the only tool we had when we came into the world. 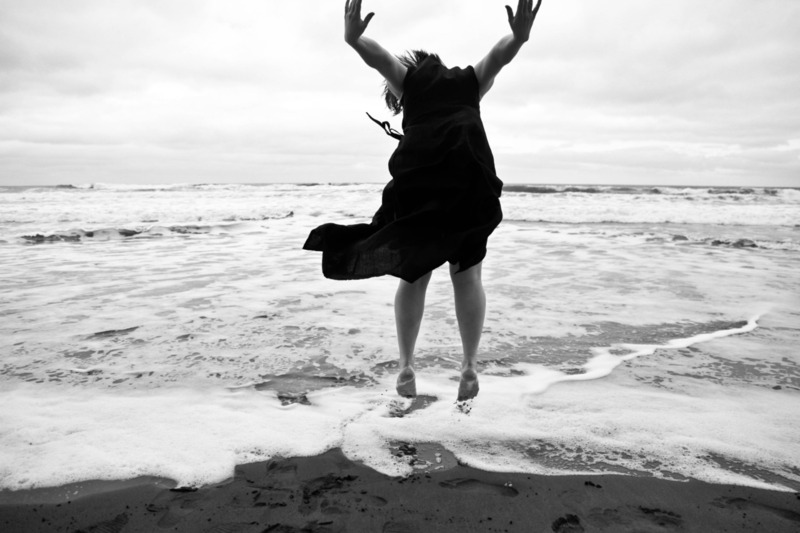 Over the course of May 2013, each dancer will receive six 3-hour solo sessions in a sensory deprivation float tank- a lightproof, soundproof chamber filled with 10 inches of salt-saturated water where you float like a cork (more info here). With no external stimulation to distract us, what will dance out of our innermost realms? Our job is to explore this question through movement. At the end of the month, each dancer will have choreographed a solo movement piece that in some way reflects their float experience, and will then work with a videographer to create a short movement film that captures their choreography (for public and online screenings). There are no further parameters. 42 floats + 7 dancers + 1 month + the void = ?? ?